Mountain-town pride festivals take the urban-pride scene and add fresh air, striking scenery and skiing. Here are three key alpine prides to add to your winter calendar. Aspen Gay Ski Week is the drag mother of mountain-town prides and she is serving up an extravaganza for her 40th anniversary this month. With seven days of brunches, cocktail receptions, shopping, art and pool parties, there’s almost no time to hit the slopes. In addition to your skis, you’ll want to pack your best drag for the Downhill Costume Competition (this year’s category is “40 Never Looked So Good”). Last year, favourites from RuPaul’s Drag Race broke out their best snow-bunny couture, so you never know who might be on board for this year’s event – literally. The competition requires competitors to ski or snowboard down the hill to music of their choosing. If slope-styled drag queens aren’t enough, there are guided Mountain Du Jour tours so you can ski the best of the four mountains that comprise the Aspen Snowmass. If you aren’t feeling Aspen’s iconic peaks, rub elbows with the stars as you wine, dine and shop your way through town before joining the daily aprs-ski at the Limelight, Gay Ski Week’s official host hotel. Grab a drink and some free swag or relax in one of the two 20-person hot tubs before heading off to a mountaintop dance party, movie night or celebrity comedy show. And because pride is more than just partying, the most fabulous thing about Aspen Gay Ski Week is that it’s a fundraiser for AspenOUT, benefitting groups like the Western Colorado AIDS Project and local and national youth programs and scholarships. -F.T. Whistler Pride’s annual ski out and march through Whistler Village. Whistler’s pride event started as a protest of sorts. Late founder Brent Benaschak had been going to the Aspen Gay Ski Week for a number of years, but when the state of Colorado passed discriminatory legislation against the LGBTQ community in 1992, Benaschak encouraged skiers who wanted to take a stand by boycotting visits to the state to come instead to a fledgling gay ski gathering he had started in Whistler. That handful of skiers turned into a couple hundred the following year and continued to grow. Though the U.S. Supreme Court struck down the offending legislation in 1996, by then the momentum in Whistler had established it as a major gay ski week in its own right, with the off-piste parties becoming as much of a draw as the top-ranked ski terrain. After Benaschak passed away in 2003, a group called Alpenglow Productions took the reins in 2006. (In 2010 they would receive international recognition for the Whistler and Vancouver Pride Houses at the Olympic Winter Games – the first ever LGBTQ pavilions at a major sporting event.) 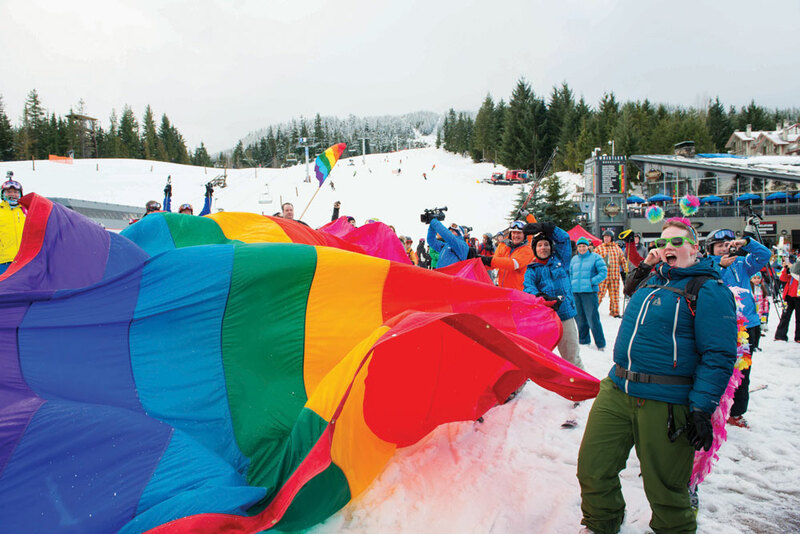 What’s now known as the Whistler Pride and Ski Festival enjoys official civic status, with a proclamation from the mayor and a rainbow flag flown at the town hall. (Left) photograph by Matt Murray Photography/GayWhistler.com. (Right) photograph courtesy of Tourism Whistler/Mike Crane. (Left) Whistler Pride ski guides. (Right) Whistler Pride party at the Garibaldi Lift Co. The 2017 edition marks the 25th anniversary with a packed lineup that has everything from guided skiing and snowboarding outings to daily aprs-ski gatherings. Of course, there are also the parties, including the annual Splash! pool party and the Furrocious military/uniform ball as well as the main event, Snowball25, headlined this year by Italian EDM duo The Cube Guys. Whether guests are there to party or play in the snow, this gay ski week prides itself on its inclusive vibe. “The entire resort comes out and embraces the week,” says CEO and executive producer Dean Nelson. “People have met life-long friends and others have found their life partners. 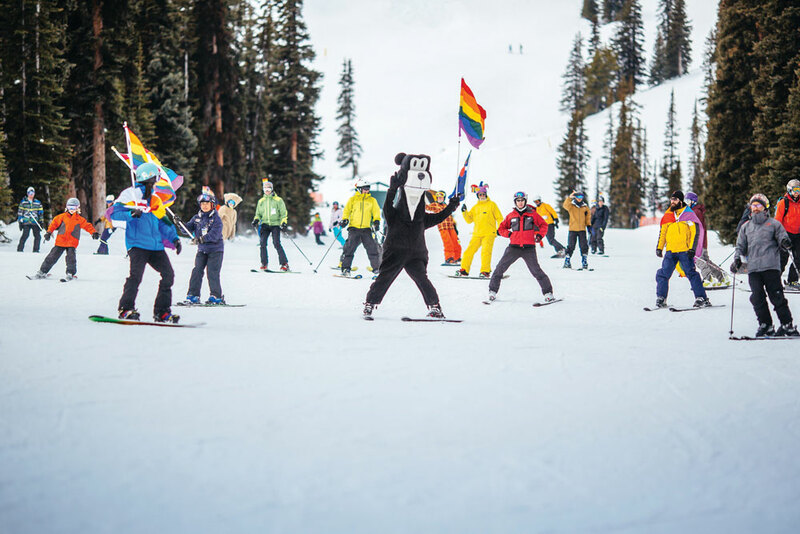 We have been told countless times that Whistler Pride is the gay version of The Love Boat, but at a massive ski resort with a lot of hot tubs.” -S.A.
Jasper Pride at Marmot Basin ski area. When you think of pride celebration locales, Jasper, Alta., might not jump to mind. But it should. Now in its eighth year, and held in the third weekend of March, it’s the calmer, cooler, more collected pride week, compared to its mountain-town counterparts. The stage is set upon driving into town, with dozens of rainbow flags lining Connaught Drive, Jasper’s main drag. 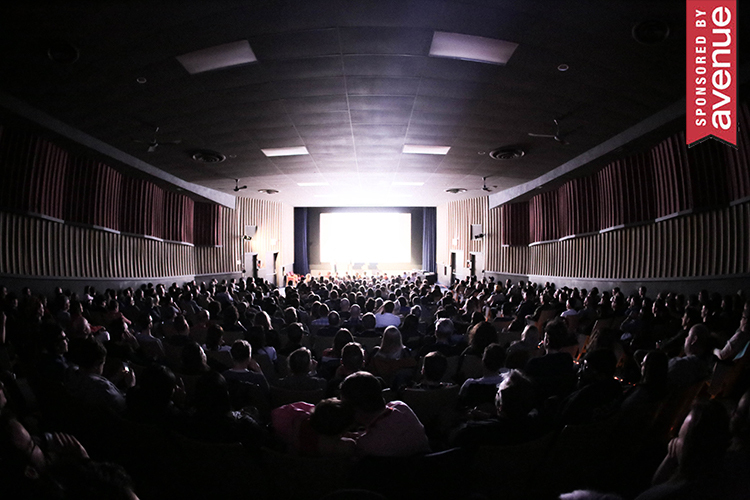 It’s immediately apparent that this is an event with remarkable community support. Restaurants, banks, hotels and boutiques around town are bedecked in rainbow flags, murals and windows painted with pride-positive messages. A stroll around town is a great way to meet people, support the businesses that support pride and take in the crisp mountain air. Locate this year’s Pride House (last year it was at Karouzos Steakhouse) and stop by to meet the helpful volunteers, secure tickets for the many parties and events, buy Pride merchandise or just kick back and have a coffee and some snacks. Or, if you’re feeling parched, pop into Jasper Brewing Company for a pint of its special-edition pride beer. It’s a great place to socialize and plan your itinerary for the next few days. 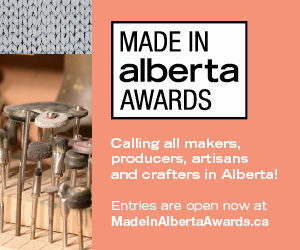 Jasper Pride has more than 25 organized events, ranging from low-key coffeehouse meet-ups and family-friendly movie nights to sportier fare like guided ice-climbing tours to the bottom of Maligne Canyon and skiing outings on the slopes of Marmot Basin. The nightlife heats up with events like the lively Lum-Bear-Jack party and the Girls Night Out, to name a couple. Whatever you choose to do at Jasper Pride, the name of the game is inclusion, respect and diversity. Unlike many other celebrations where men outnumber women by a wide margin, according to the Jasper Pride Society, women here actually outnumber the men at 54 per cent. It’s also a family-friendly atmosphere, where kids are as welcome as anybody else. For the ultimate Pride experience, you’ll want to stay at the newly renovated Fairmont Jasper Park Lodge. Sink into comfy lounge chairs in the charming lobby, order one of the delicious Fairmont signature cocktails and people-watch to your heart’s content. Chances are, the friends you met earlier in the day will shuffle by on their way to one of the many events hosted at the hotel. The highlight of Jasper Pride is arguably the gala party hosted by the JPL. Last year’s theme was “From Jasper with Love” and, as you might guess, the camp factor was high – guests came dressed as Bond heroes and villains – and gender diversity and the expression of fluid gender roles were encouraged, resulting in lots of fun, creativity and warm fuzzies all around. This year’s theme will be “Jasper Proud and Free,” marking Canada’s 150th anniversary, not to mention the free admission into all National Parks throughout 2017. -R.Z.